CLICK THE PHOTO ABOVE to grab your copy of the Wulf Mens Pullover. On Sale thru October 17, 2018. No Coupon Code Needed. Do you love the social aspect of crochet alongs? Do you love to crochet garments? Would you love to crochet a garment for a guy in your life, but find yourself intimidated by them? If you answered “yes” to any of these, then this crochet along is for you! So what are you waiting for? Read the CAL details below and then join us in the A Crocheted Simplicity Crochet Community group on Facebook for some CAL F-U-N! First, a little info about the Wulf Mens Pullover! 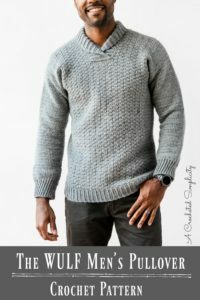 After releasing the Midwestern Warmth Cabled Pullover, I received several requests for a men’s shawl collared pullover without cables. I thought that was a fantastic idea and it would make for a great crochet along this fall! This sweater uses simple construction methods and there is very little seaming (only the shoulders). Who doesn’t love an almost seamless garment? 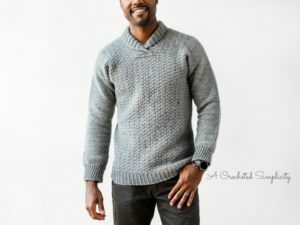 The pattern includes a garment schematic so that you can check measurements to make sure your gauge stays on track, a complete measurement chart, and it also includes a stitch chart for the textured stitch section. Do you have a tall guy in your life? No worries! There are instructions included to easily lengthen the torso and the sleeves! Most of us can follow a well written pattern and crochet on our own, but I think it’s lots more fun to work with friends in a group. 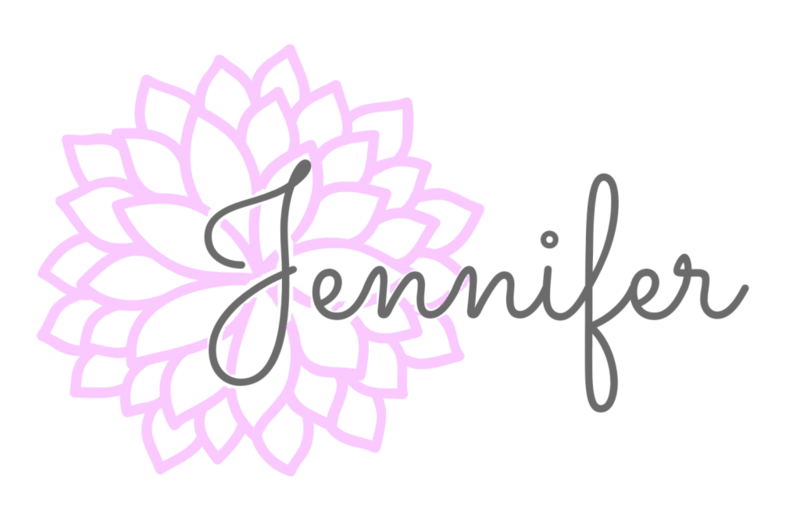 And since I don’t have a local crochet group I can attend, I host crochet alongs online. I think they’re just as much fun! 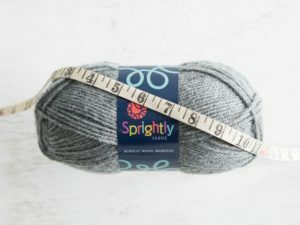 There is currently a sale on Sprightly Wool Worsted Yarn by Craftsy. I am unsure when the sale will end, but check it out! Click HERE to see the yarn. There are 25 great colors available in this yarn! This design is also available as a crochet kit on the Craftsy website & it’s on sale! Click HERE to see the kit! Yarn: For the sweater shown in the photos above, I used Sprightly Wool Worsted in Grey Heather by Craftsy (currently on sale!). Step 1: Click HERE to purchase your own copy of the Wulf Mens Pullover. The pattern is On Sale through October 17, 2018. No Coupon Code Needed. October 12 – 18: Gather your supplies so you can begin by October 12th! Choose yarn from your stash, order the perfect yarn, or visit a local store! Create a Ravelry project page (click HERE for a quick tutorial). Crochet the waistband of your sweater. Post a photo of your completed waistband to your Ravelry project & add one to the weekly post in the ACS Facebook community group! October 19 – 25: Complete the Body of Sweater! At this point you will have completed the waistband and body of sweater and be ready for Week 3 when we begin with the Front Upper Center Panel. Update your Ravelry project with a photo of your sweater through this point & add a photo to the weekly post in the ACS Facebook community group! October 26 – November 1: Complete the Front Upper Center Panel, Upper Left Panel, Upper Right Panel, Back Panel, & Shoulder Seams. Update your Ravelry project with a photo of your sweater through this point & add a photo to the weekly post in the ACS Facebook community group! November 2 – 11: Complete the Sleeves & Collar and your sweater will be complete! Update your Ravelry project with your final photos & add a photo to the weekly post in the ACS Facebook community group! Step 1) Create a project on Ravelry linking to the listing for the Wulf Mens Pullover. Click HERE for a tutorial on how to create a Ravelry project page. Step 3) Add one photo (or a link to your Ravelry project) & your Ravelry username to the weekly CAL post in the ACS Facebook Community Group. Look for the Wulf Crochet Along graphic. I will add a new graphic each week that will be clearly labeled. Join us and let’s crochet an awesome sweater together!